„Ready, Steady, go!“ is an advanced level training course, aimed at experienced volunteers wanting to become active a trainer within DBYN's pool of trainers or beyond. The main aim of the training course is to strengthen young people to be a resource to others by providing them with competences that can improve their role as trainers on a local and international level. The training course takes place 30/07-05/08/2018 in the Aktionszentrum Benediktbeuern, Germany. This is our advanced level our training structure. The trainers will build a specific training programme based on the needs of the participants. For this the participants will need to complete a personal assessment form as part of their registration. As we will explore experiential learning and peer education in the training course, it is likely that the participants will be asked to prepare training session in advance, which they deliver during the training course themselves. To improve personal trainer’s skills of pax in order to become members of DBYN’s PoT, and deliver training both the local and the international level within the framework of DBYN’s educational methodology. To initiate the continued process of self-directed learning and self-reflection as trainers. 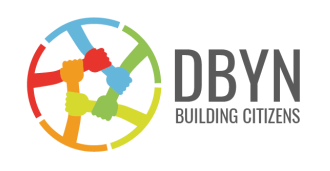 To create a strong learning environment where pax learn from each other, build interpersonal networks and learn to use the existing framework of DBYN. To empower and support pax to get engaged in international activities and processes, in the framework of the DBYN.